It has been a very busy year for us as became involved with the change from previous shelter management (two of them) to current and following through by rescuing dogs and cats and transporting and all that sort of good stuff. We did a lot of volunteer time in the shelter too. Annual Court House Sqaure October 12, 2013. This year we were we must thank Sharon of www.SharinCountryCandles.com for helping us with her wonderful candles made especially for us and to Bentley for stopping by. 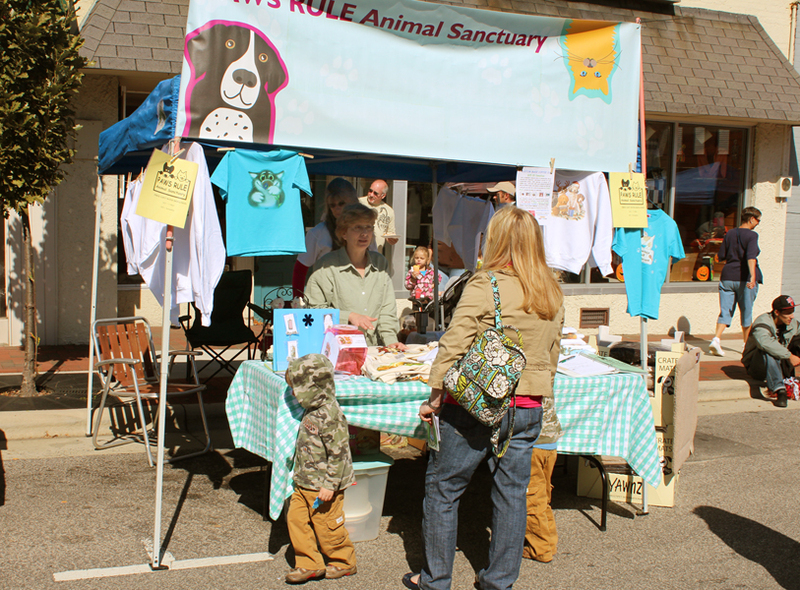 We love meeting people and their pets. Our crate mats and t-shirts went over big too. it was great to see friends come and support us as well. We had a great time at the Annual Court Square Street Fair and Annual Barbecue Cook-Off in downtown Clinton. 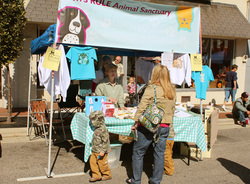 We met so many nice people who are concerned and active in the welfare of animals. We also just about sold out of every T shirt we had in stock and many sweatshirts. Thank you so much for your support. 100% of your purchases by donations go to our efforts in helping the animals in a variety of ways. 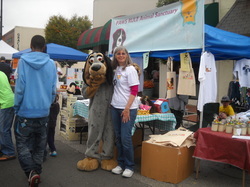 It was also great to be right next to our sister group, Sampson County Friends for Animals (S.C.F.F.A) and the Sampson County Animal Shelter (SCAA). 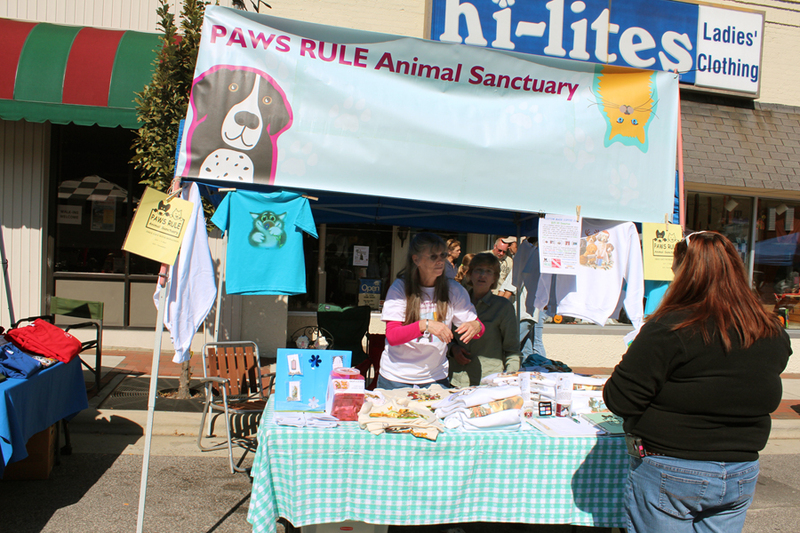 We were positive that bringing animals out to the people would draw more interest in adopting them and show folks that these are indeed beautiful adoptable pets. Summer time Paws Rule in conjunction with Gold Star Families taught scuba diving for beginners. Just a good time was had! Also in the summer we held a fundraising "TRY SCUBA" for Paws Rule where we taught introductory scuba.